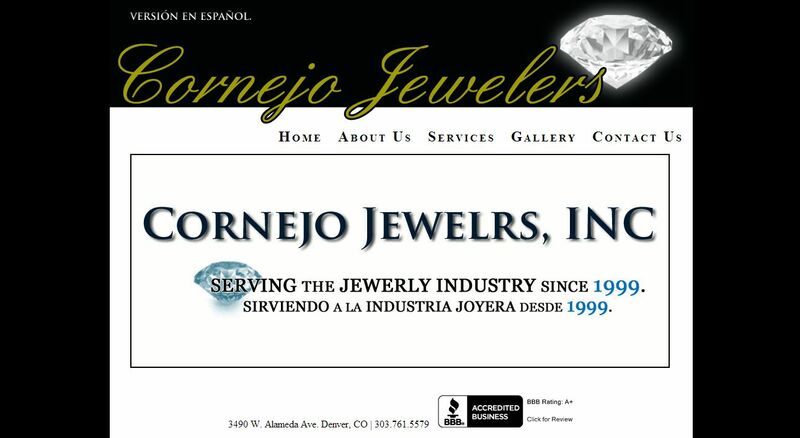 Cornejo Jewelers address, phone, website, hours of operation, and more. Since its foundation in 1999, Cornejo Jewelers has been serving the jewerly industry through the operation of a family-owned business. Founded in Denver, Colorado, Cornejo Jewelers has grown and continued to be a honest, knowledgeable buisness. A business that is supported by loyal and satisfied customers. With a variety of services, the store has been able to offer customers with what they are looking for, if not, we are sure to direct customers to recommended places.